It bears mentioning that Cole Anthony, former Pilot Greg Anthony's son, is a five-star recruit and quite the subject of attention. He has narrowed his choices to UO and UNC reportedly. Genetics and hard work combined. Guard Ryan Murphy, a sophomore at New Mexico JC has requested a release from his LOI to Washington State and has reportedly been offered by UP, LMU, UOP, and at least seven other schools....shooter!! Why’d Murphy only play half the year at NMJC? Dean Murdoch wrote: Why’d Murphy only play half the year at NMJC? Murphy broke his ankle after playing 19 games for Charlotte during the 17-18 season, but I have no idea why he did not play at NMJC after December 30th during the 18-19 season. It's also hard to figure why he asked for his release from WSU after reportedly meeting with Coach Smith and reassuring him he was committed to play in Pullman. While the staff is apparently still trying to convince a grad-transfer or two to join the Pilots, the NCAA has decided NOT to adopt a proposal that would have docked schools a scholarship for two years for every grad transfer they brought in. DoubleDipper wrote: While the staff is apparently still trying to convince a grad-transfer or two to join the Pilots, the NCAA has decided NOT to adopt a proposal that would have docked schools a scholarship for two years for every grad transfer they brought in. The proposal actually would have docked the school for the second year. Presumably the player would be on scholarship and playing the first year. Why? I guess the assumption was that grad programs are for two years. A) that isn’t alway true, depending on how many credits a student enters grad school with, and lots of grad students never finish even if they aren’t athletes. 2) if they were really concerned about the academic side, one and done should dock schools for the remainder of the ringer’s four years of undergrad elegibility, as it should for a player leaving for lack of academic performance. c) the NCAA is already on record saying that academic standards aren’t their purview in the 18 year UNC academic fraud case. iix) more players have been transferring into P5 schools than out, so DUH! The vote is no surprise. But consistency has never been a strong suite for the ncaa. Wouldn't you know? The only recruit I recommended to the staff for this year, Skylar Chavez, just signed with Lorenzo Romar at PU....don't know if UP ever considered him. DoubleDipper wrote: Wouldn't you know? The only recruit I recommended to the staff for this year, Skylar Chavez, just signed with Lorenzo Romar at PU....don't know if UP ever considered him. Not counting Chavez, because I don't know if UP recruited him, PU now has at least seven players on the men's and women's rosters that are known to have made official visits to UP before signing with Pepperdine. Unlike the "old days" when Rev would light-up twitter with his travels, it's difficult figure where TP and his "down to two" assistants are recruiting, but I get the impression they are not pursuing Garrick Green like they once were. North Portland, or Malibu? Tough choice. I think this is a new name. He's from Romulus, Michigan. The Pilots have three or four official visits planned over the next week or two...grad-transfers and JUCOs, but I don't know if Blake Furcron is one of those visiting. At D2 Walsh College his freshman year, "Bo" Furcron transferred to Pratt CC in Kansas this past season to play tougher competition and get more notice from D1 schools. Achieving his "dream," he committed to D1 Winthrop on March 17 after being told, "They wanted a mature junior to come in and play right away." Then, this last Tuesday Winthrop got a commitment from Adonis Arms who plays the same position as Furcron, and previously played one year at Mesa Community College and one year at Northwest Nazarene. A day after Arms committed, Furcron decommitted. DoubleDipper wrote: The Pilots have three or four official visits planned over the next week or two...grad-transfers and JUCOs, but I don't know if Blake Furcon is one of those visiting. @JonRothstein wrote: UMass grad transfer Curtis Cobb tells me he plans to visit Robert Morris and Wagner. Portland also in the mix. 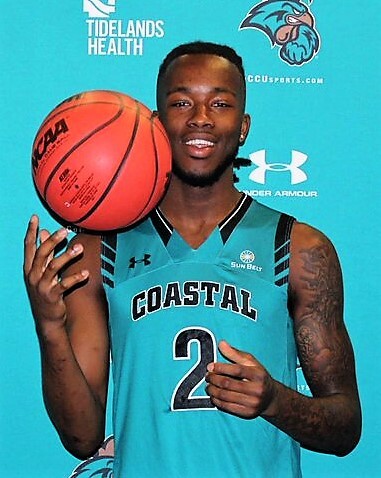 Cross Garrick Green off the list...turns out Green likes the teal of Coastal Carolina over purple. A cursory look at Cobb's stats at UMass indicates he's not the scoring threat UP needs, IMO. Regardless, after reading a number of comments from Cobb and about Cobb, he is not interested in moving all the way across the US for a graduate degree (at UP). DoubleDipper wrote: Guard Ryan Murphy, a sophomore at New Mexico JC has requested a release from his LOI to Washington State and has reportedly been offered by UP, LMU, UOP, and at least seven other schools....shooter!! As of this afternoon Murphy is apparently favoring UNLV. Hard to blame guys who want the "lights" and school reputation to pass on UP....he's already left Charlotte and gotten his release from WSU (not a lot of lights in Pullman, yet). One of Murphy's friends just committed to Duke (not GU or SCU, just two of the schools that had made him offers)...just saying. One of the biggest recruiting challenges both Rev and TP have faced at UP is the ability to discover and snag JUCO players that meet UP entrance requirements and are likely to graduate. 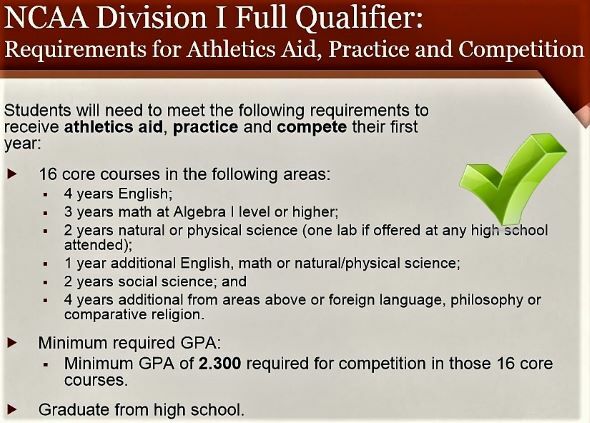 The JUCO players that come to UP that were "full-qualifiers" out of high school are generally not a problem (Jacob Tryon is a very good student), but those who struggled in high school or did not meet the NCAA required classes criteria can be another story. Talking to one of the coaches this morning I was told that finding a qualified JUCO recruit who can also help the program is proving to be difficult. Although his name was not mentioned (coaches are very tight-lipped about recruit's names), it would seem from our short conversation that Blake "Bo" Furcron is NOT academically eligible to enroll at UP. Coach Cantu remarked a number of times how enjoyable it was to recruit "bright young men" to UP, in contrast to some of the "student"- athletes he recruited to others schools during his career. It is not a good sign that we are nearly a week since the beginning of the signing period and there remains no indication of a commitment. No doubt great effort is being expended. But with the record we had and have had now for some period, with transfers out of the program and with the loss of a coach, perhaps the primary recruiter, one has to wonder how the program impresses prospective student athletes. There are always Porter's credentials as a player and former NBA head coach. Any indication that Chase Adams, the Hoop Scoop wunderkind, is interested in attending the U? Is he waiting on someone else to make an offer? In addition to prospective JUCOs and transfers, beyond Adams, do we continue to recruit high school athletes? ...JUCO SF Garrick Green from Baton Rouge, high school PG Chase Adams from Chicago, and JUCO Wing Sean Miller-Moore from "not up there," but "over there," or even down there (thanks Deaner) around Mississauga, in Brampton, Ontario are still on UP's radar as possible signees this month. The spring cleaning continues as Green heads off to Coastal Carolina and Miller-Moore, who had at least 20 D1 offers, will be a Beaver in Corvallis...good choice, IMO. wrv wrote: Any indication that Chase Adams, the Hoop Scoop wunderkind, is interested in attending the U? Is he waiting on someone else to make an offer? I think Adams could bring great excitement and skill to the Bluff, but I'm just not sure how he would "fit" culturally at UP after his Chicago upbringing. He is spending a prep year in Missouri, which could ease his transition to Portland, but he's apparently had a number of Midwest offers at various levels, so it remains to be seen if Adams is interested in coming west. It's pretty obvious the staff and the team need to win NOW, and they seem to be less about building the program long-term, and more about getting experienced players who can help them this coming November. I think the staff is still interested in signing Adams if there is a scholarship available, but it seems pretty obvious they are concentrating on JUCO and grad-transfer players and not more high school players beyond Adams. The two grad-transfers who visited, Golder and Evelyn, are apparently still available, and both could be instant help. wrv wrote: It bears mentioning that Cole Anthony, former Pilot Greg Anthony's son, is a five-star recruit and quite the subject of attention. He has narrowed his choices to UO and UNC reportedly. Genetics and hard work combined. Interesting list above. It ranks Shaver as the #40 "sit a year" transfer available this offseason. None of these players are reported to have interest from the Pilots, although several don't have any schools listed there.